"Take a trip to Italy and dine on the freshest pizza and pasta dishes to delight every mama, papa, nonna and bambino. 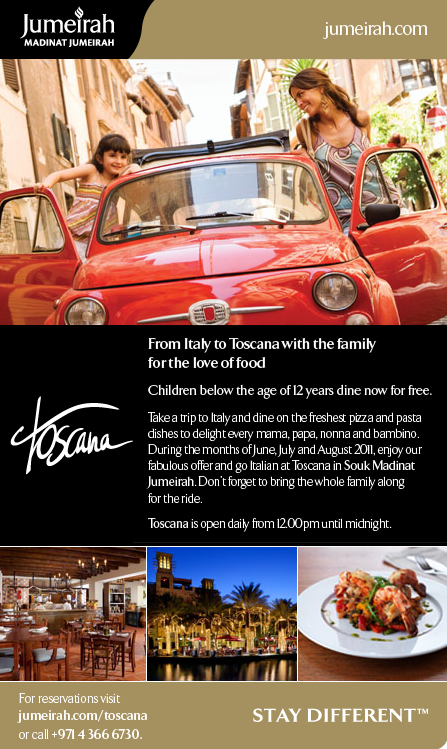 During the months of June, July and August 2011, enjoy our fabulous offer and go Italian at Toscanain Souk Madinat Jumeirah." Children below 12 years old enjoy a free diner. I suggest, we ladies, take the night off, no cooking, no dishes and enjoy some italian food. 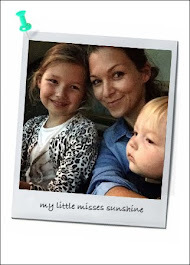 Family treat.